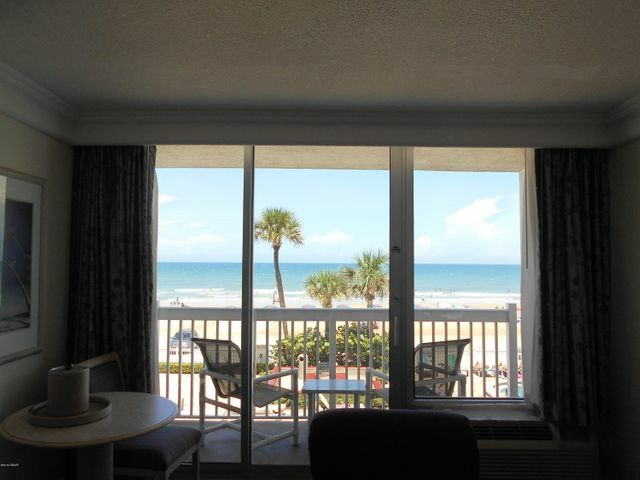 Daytona Beach Resort - Motivated seller, Great return on your Money. Posted by on Friday, September 9th, 2016 at 10:48am. DIRECT OCEAN FRONT CONDO ALWAYS RENTS FIRST, FABULOUS VIEWS OF THE BEACH. UNIT HAS KING SIZED BED, FULL SLEEPER SOFA, REFRIGERATOR WITH ICEMAKER, FULL KITCHEN WITH MICROWAVE AND 2-BURNER STOVE. 3 OCEANFRONT POOLS 1 OF THEM A KIDDIE MUSHROOM WATERFALL POOL. 1 INDOOR HEATED POOL WITH JACUZZIS AND A SAUNA. NAUTILUS FITNESS CENTER, TIKI BAR, RESTAURANT AND MUCH MORE.